Embedding fonts on a web page can be a chore, and getting all the little bits just right can take quite a while to iron out. 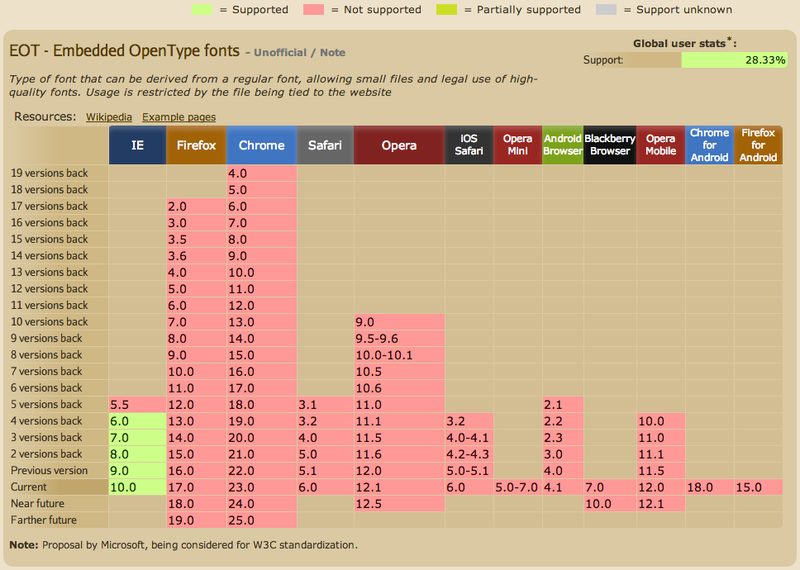 The advice so far has been to convert your font and serve four different file types, an EOT, a WOFF, a TTF and a SVG. So I decided to actually check if that really is necessary. To make this mission I just went to caniuse.com and made some screenshots, so let’s compare those screenshots. 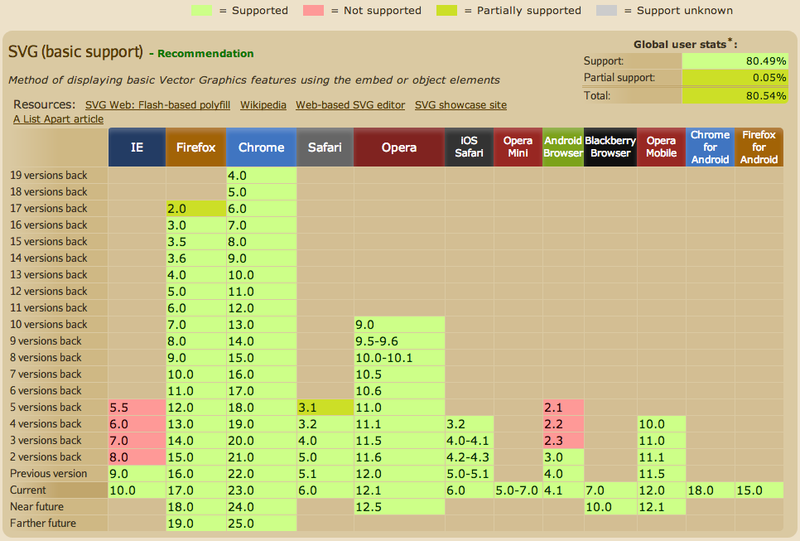 IE supports this a bit better, but just for IE 9 & 10. 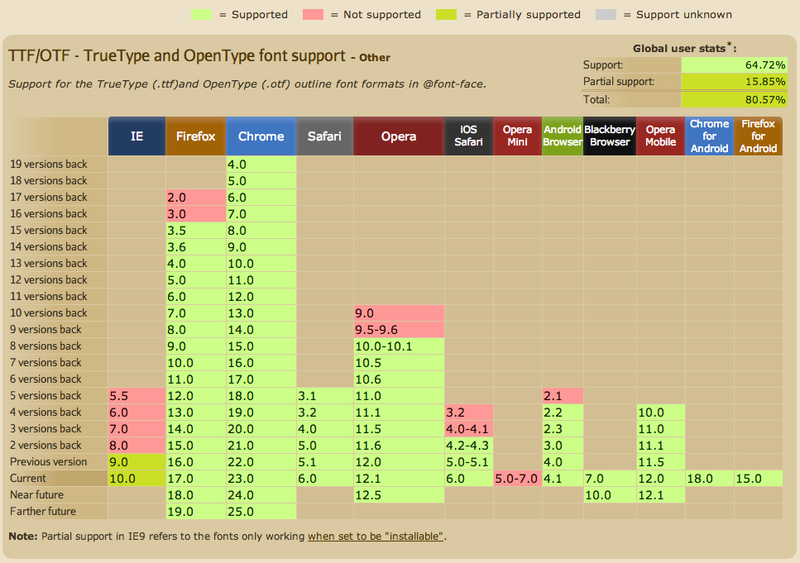 Excellent support by IE, but only IE, but all the way back from IE 6! 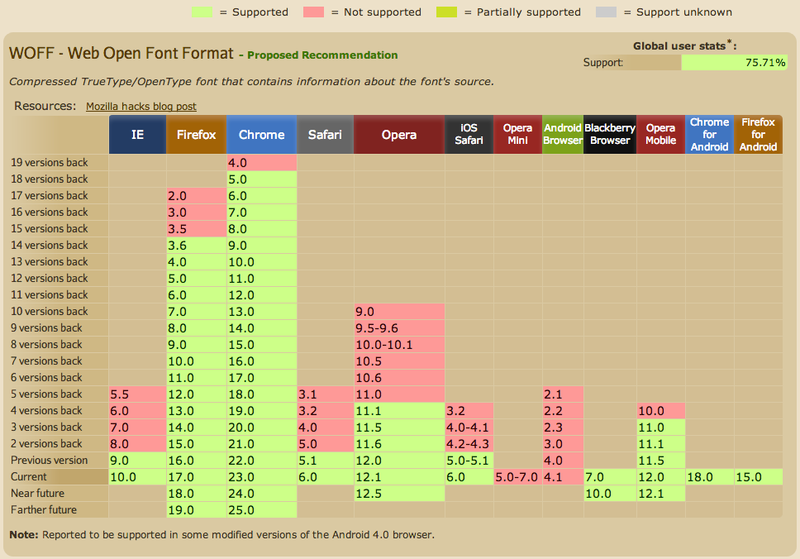 Supported by all browsers, except IE lower than 9, and I (and others) have experienced that the SVG looks wonky sometimes. Especially on Chrome on Windows. And there you should have covered all bases and your site should look fine and dandy (hopefully;-).